Kerri will do anything to find a cure for her dying son, including seduce a cynical billionaire so he'll fund the research. It seemed like the perfect match… until the unthinkable happened. 4.5 stars! "Mallery's books are always emotional gems, but this particular character's unwavering belief in the power of hope and love is especially inspirational. If you're looking for heart-tugging emotions elaborately laced with humor, then Mallery is the author for you. Break out the Kleenex!" 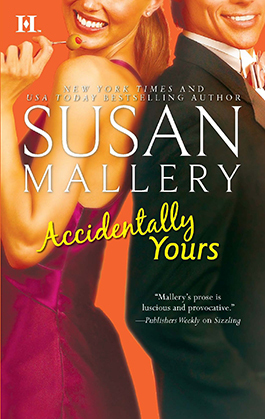 "I loved this book... Susan Mallery is a new-to-me author, but after this book, I will definitely be reading more." "This novel combines witty dialogue, romance and humor to tell a heart-tugging story of survival, with a mother's undying love at the forefront." "Leaving behind her more carefree stories, Susan Mallery has written a book with an emotional impact, one that stays with you long after you close the last page of the book." "...[a] charming and entertaining romance.